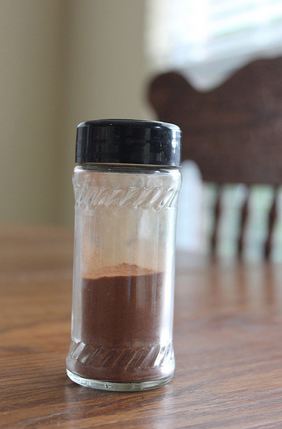 I saved by making my own Pumpkin Pie Spice. 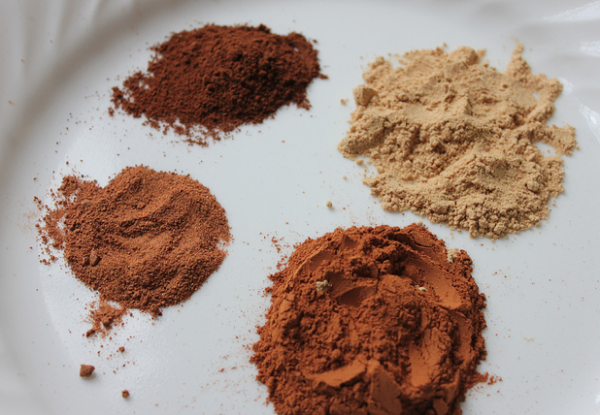 I’ve been wanting to make a few different recipes recently that call for Pumpkin Pie Spice. Instead of buying it, I mixed up some of it myself with spices I already had on hand. 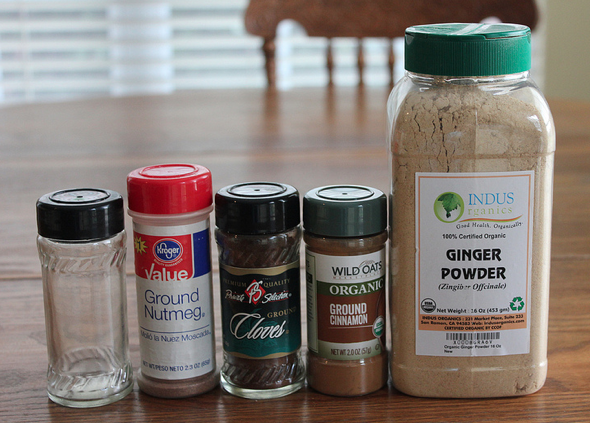 Mix all spices together and store in an airtight container. I used a clean empty spice jar. Looking for more? Read more posts about How I Saved Today. We got a free lunch at work today! (Part of a benefits fair.) I normally pack my lunch, but this still saved me a couple bucks. Yay for a free lunch! Might seem a little silly, but I still saved money. Our dishwasher went out, and we didn’t know that until after we ate supper. So, I had to hand wash the dishes. I had the liquid dish soap, but no stopper for my sink. So, by accident, a medicine cup (from liquid medicine) had fallen into the sink, and the water started filling up. My husband said “there you go, we have a stopper for the sink.” And it didn’t cost me a dime. My husband said, you need to make sure you send that to the MSM. He hears at least one story from the MSM every day:) Thank you for your posts. We eat our big meal at lunch(since my husband comes home for lunch). We almost always have our leftovers the next day for dinner. Since we’re trying to cut calories and save money, I started dishing up the leftovers on plates while dishing up our lunch. This enables to have enough left for leftovers(saving us money), and it gives us portion control. We just moved and I thought I put all of our new bills on bank draft. Well I had missed one. Since I wasn’t expecting it, I hadn’t opened up that piece of mail till today. I was due last week! I ran down there and apologized, explained what had happened, and the gal helping me took the extra charges off for me with out me even asking. I signed up for automatic bank draft so that does not happen again! How embarrassing! Oh, I’m so glad you were able to get the extra charges taken off! I had a similar experience to you! I had a dyslexic moment, I suppose, and scheduled a payment for one day after it was due. I got hit with a late fee of $25, but asked politely if I could have the fee removed, since I’d never been late before and it was truly an honest mistake. Success! The charge was removed promptly. 1. I had milk that had soured in the fridge. Instead of discarding it, I used it in biscuits & pancakes. 2. I’ve been freezing used chicken bones & skin from hind quarters I’d purchased on sale. I cooked the bones with water, filling the crockpot three times, to make 22 cups of chicken broth the past two days. 3. Also, to do dishes, I’ve only been putting 3″ of water in the sink. I wash the plates and silverware first without rinsing them. I then only rinse the inside of bowls, glasses, & cups. When the dish drainer is full, I take the sprayer hose to rinse all the dishes at the same time. By doing this, as well as other water saving tips over the past few months, we’ve been able to cut the water bill by at least 1 ccf per month. This has saved us $4-5 a month over the summer (> $48 per year). I love these ideas! Thanks for sharing — especially for the savings you mentioned on #3. I find details like that fascinating and inspiring! Yum! And I was JUST telling Jesse tonight that I need to make Ham & Beans again — a family favorite recipe that I’ve not made for quite some time! Specifically today: packed a cooler bag fill of snacks and lunches for our two hour roundtrip (which ended up being about 3 hours total because of traffic), monthly drive to the allergist. Usually, I would use coupons and let the kids eat at Chick Fil A or such as an award for the long drive and being poked with needles. Today the reward was back to back audio episodes of Adventures in Odyssey, via the free app on my phone. 🙂 Thankfully these trips to the allergist are almost done. So sorry you’re dealing with allergies. I’m inspired by your 31-Day No Spend Challenge! Way to go! Was not feeling well and thinking of ordering lunch outside instead of making one at home. After some thought, decided to go for a home cooked meal which saved at least $10. Great job! I hope you get to feeling better! We’ve been buying frozen burritos for my husband to take to work for lunch. I realized I had a bunch of dry pinto beans, so I’m making crockpot refried beans for homemade freezer burritos. And it gives me a head start on upcoming taco night! I LOVE Crock-Pot refried beans! So easy and so good! Made vegetable broth in the crockpot from extras from my CSA box. Volunteered as an usher at the community theatre and got free admission to the show. Today I was tempted to buy lunch at work. Instead, I packed the leftover soup I had, and will eat it with crackers someone brought for everyone. We recently had some baby showers and I saved by making my own thank you notes. Not only are they cheaper, but they’re more personal too! I volunteer at Southern Season’s cooking school. And they always give us a free dinner afterwards and I got to take some corn chowder home. Plus, I earned half the points I need to get a free class. I’m saving up enough points to earn free classes for my kiddos to take cooking classes for December. There is a Southern Season store in Richmond VA, Chapel Hill NC, and Charleston SC. If you live near these I highly recommend volunteering in their cooking school! I wanted to say thank you for being honest about doubling your grocery budget, we all need to be real with one another. We can make someone stumble or fly, with our actions. It’s always better to soar with truth and freedom than fall down with comparisons.. I think when we continue with something thst God has closed the door on, it puts undue pressure on those around.thanks for being honest.. Yesterday we lost power due to bad storms and were going to mc Donalds for a while so our son could play in the playground and we could have an ice cream cone and use their WiFi. I had already given him food in our candle lit kitchen and I just told my husband we should just stay because it was getting close to our son’s bedtime anyway. The initial thought was to just go out to eat, turned into ice cream then nothing at all! Luckily we got it back hours later- our freezer was full and my husband had made lots of food to put in there last week- really would have hated to lose all that. Pinned! And I also stumbled. Do you use stumbleupon? I’ve just started and it brings random surges of traffic.